Our current economy is digitized and generates an exponential growth of person-to-person (P2P) transactions. On the other hand we often face challenges around flexibility, trust, identity and authorization that existing financial instruments are sometimes struggling to address. And that’s where blockchain comes into play. Blockchain is designed as a secure distributed system with high Byzantine fault tolerance. The most successful use cases for blockchain today are related to financial transactions and the management of financial assets. The most famous examples include Bitcoin, Ethereum, Ripple or Hyperledger. GSMA Intelligence recently published a new issue of Global Mobile Radar, which analyzes the relationship of blockchain and mobile communications. The last time we discussed 5G and IMS. One of the main drivers for 5G is Machine-2-Machine (M2M) communication. But surely 5G is not the only technology which enables Internet of Things (IoT). Many operators already do support proprietary technologies such as SigFox or LoRaWAN. But there are also 3GPP standardized (Release 13) networks for IoT other than 5G. They are LTE-M and NB-IoT, and they both operate on licensed spectrum. These technologies came a bit later, however now it seems they are gaining momentum. On GSMA pages you can now find an interactive map with the existing IoT deployments. Let’s compare LTE-M and NB-IoT and take a look how they can benefit us. 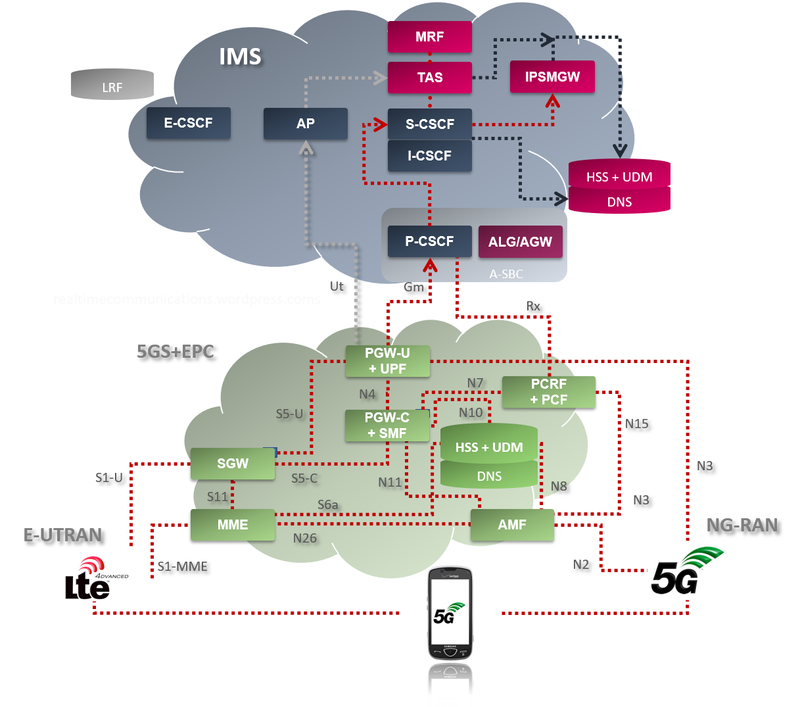 Maybe you have already heard about some features as Dynamical Network Slicing, CloudRAN, Network-as-a-Services, … Some basic 5G principals we’ll briefly discussed also in this post. However my question is: What will be the change from the real-time communication point of view? What will be the 5G calling look like? Is the IMS (IP Multimedia Services, don’t confuse with International Microwave Symposium) to stay in the operators’ networks? Seems that at the first stage the change will be less dramatic than when we introduced 4G. 4G was in many ways a revolution, whereas 5G is “only” an evolution. In fact 4G and 5G, at least in the beginning, will coexist and complement one each other. Still 5G will have a big impact on our existing technologies and the way we work with telecommunication networks.